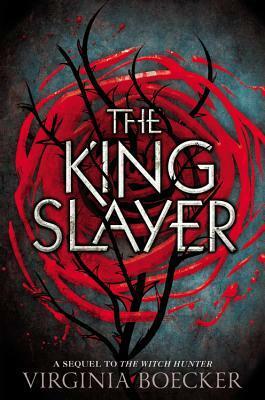 The lines between good and evil blur once more for former witch hunter Elizabeth Grey in The Slayer King. And after the events of The Witch Hunter Elizabeth’s only problem isn’t dealing with the fall out of the conclusion of book 1, but she also has to deal with her new neighbors that aren’t so accepting and trusting of an ex-witch hunter. Like in the first book, the politics of the story are just as important as the magic. You are never sure who to trust. The King Slayer seems to be even more thrilling than the first with more epic battle scenes and more subterfuge. What this series has done wonderfully is cut out all the mundane, drawn-out bits that can piss me off. This is an explosive, high-stakes story that grabs you from page one and never lets you go. The King Slayer is the second and last book, which means there isn’t the time for all the crap. Instead, the story and characters move forward quickly and I LOVED it. Without quest, one of my favorite books of 2016. Virginia Boecker is definitely now on my must read list. I can’t wait to see what she writes next! The King Slayer comes out today, 7/5/2016. Run, don’t walk to pick up your copy. This entry was posted in Fantasy, Historical Fantasy, Magic, Witches, Young Adult and tagged Historical fantasy, The King Slayer, The Witch Hunter Book 2, Virginia Boecker, Witches, Young Adult. Bookmark the permalink.